Hi Friends,Can somebody help me about a contact detail of a dealer In zebbug ? I was told that he imports airsoft .He olso have a statonery shop Called Paloma. I am aware of 2 dealers in Zebbug. One at the begining of the road leading into Zebbug from the back ( With St Dorothy's School on your left). It's called "Trigger Arms" and It's a bout 300 yards up the road and on your left. For the other, you keep going down /up the same road till the end, then ask directions. Cansomeone confirm this please ! I am not aware that Ray gets airsoft ! You are correct, Ray doesn't do Airsoft. Try follow the road to the other. Be aware - stationary selling airsoft !!! It will be 100% CRAP airsoft. The plastic parts will be equivalent to the toys you find in Kinder Sorpresa !!! More then that, the chances are that the airsoft imports by the stationary are all illegal, cannot be registered and hence are not allowed by clubs. I suggest FORGET IT . Push LOCAL dealers to get good airsoft products and buy locally or else if not satisifed get them through one time import license. The problem is the serial number. If all of those who need good quality airsoft pistols hammer put requests to dealers maybe some one will start to import them. Beware what you buy as SAS stated. 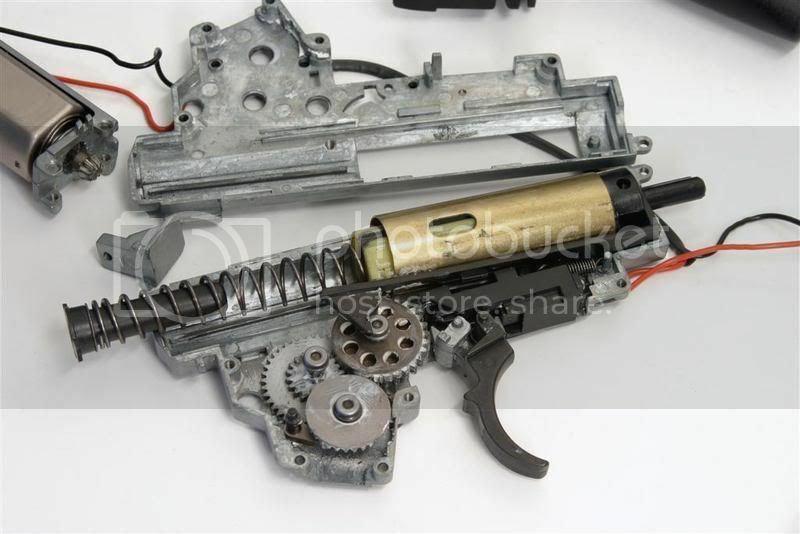 First cheap airsoft models have small plastic gearboxes that will not last long as opposed to metal gearboxes! AN other big issue is licence, in all official clubs non legal airsoft guns are not permitted ! About local deals .........Airsoft is not being considerd so much ! ......joking, I know what you mean ! PS. Many dealers don't consider airsoft of which is a pity, it's a shooting sport and as can confirm SAS the demand is there ! Events had to be cancelled due to lack of GBB pistols ! Maybe you have to correct your definition for air soft guns. Airsoft are not fire arms. Nor they are air guns. Still airsoft are not "toys"
Good quality airsoft is so dam realistic when compared to the real steel version that some countries just ban it. Others like Malta decided to license airsoft with all the conditions of a fire arm. Some countries who for ages permitted airsoft cause they were considered as toys are now changing their mind and are taking the Malta approach (license) or the Dutch approach Ban it. 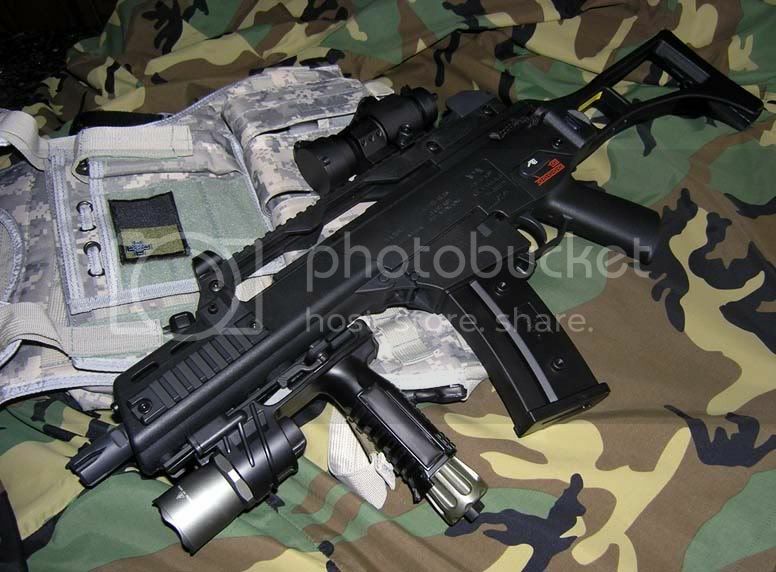 Airsoft though the least powerful in terms of energy can cause fear factor as much as any other fire arm. If left in a free to all state, irresponsible persons can use them for that fact. This will not be good for all of us who are fire arm enthusiast, airgun enthusiasts and people with a passion for airsoft who want to do things right. Is that Airsoft Glock yours?? If so is the trigger similar to a real glock? The functionality is 100 % identical (Trigger safe) unless pulled directly from center the trigger blocks. This works on the same principle only striker is designed for airsoft and is found in the lower frame and not top slide. 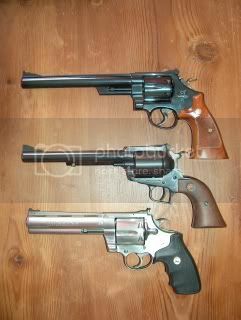 The triggers is single action type. The first time the pistol must be loaded with a magazine, slide pulled back and released to load 1st BB in the chamber just before the "hop up" in this way you are also cocking the mechanisim of the striker. This is not exactly SA its hybrid. Once the trigger is pulled the striker is released. The striker hits open the main gas valve situated inside the magazine momentarily since the pressure of the gas will push him back aided with gas flowing out of the magazine to propel the BB out of the barrel and some gas that pushes the battery back thus forcing a kick blow back on the slide. 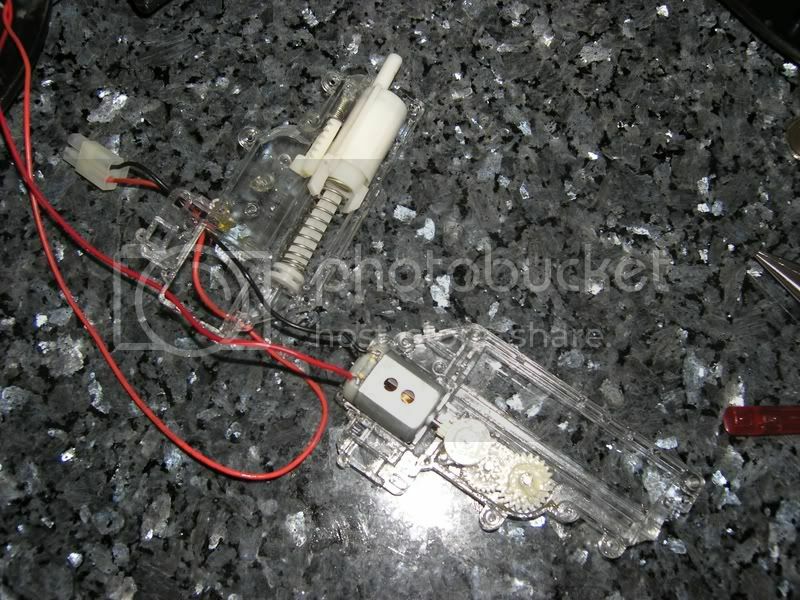 The slide goes all the way back until the recoil spring is totally compressed and reset the striker mechanism. The slide then stops and the recoil spring forces the slide forward pulling the next BB out of the magazine in to the chamber ready for the next shot. This thing goes as fast as you pull the trigger. When all BB's in the magazine are used the slide remains open on the last shot. All levers like slide stop and magazine release are fully functional. All Glock accessories fit 100% even holsters and magazine holders. It is as accurate as a CO2 air pistol. The range can go 30m but that is for airsoft skirmish. If used for target practice like steel plate can hit easily 2 inch plate from 8 meters outdoors so its good enough. The reason is due to metal barrel and hop up. This is a great gun to train with "dry fire" does not remain so dry . The weight is also there this weighs in around 850-900g with magazine and the best part is the kick back. Nothing compared to the real fire arm recoil. I have written various post re airsoft GBB pistols in the past. These are excellent training tools for those who want to start IPSC or IDPA. You can practice safe in your garage without any risks all safety procedures, draws, moves, reloads, sight picture, followup and dry fire with a difference. Then all you will require when doing real IPSC or IDPA is to master your fire arm recoil the others will already become 2nd nature. I do not say this, some professional IPSC & IDPA shooters say this. The best is to go for a replica of your equipment or similar so as to keep the same feel. Emmm... snap caps may be cheaper?? You must recock the firearm each time, a problem if practicing double taps. You do not get feedback/ response from the pistol, there is no movement in the slide to show if your grip is correct, you cannot practice effective reloads and stoppage drills. But here is the biggie: dryfire involves watching the front sight to see that you don't move the pistol with the trigger press, however trigger press isn't the only thing that affects shot placement; grip is another and 'actual' sight alignment. These are all verified with a little plastic bb flying downrange and hitting it's mark. The question of how the gun will react to your grip due to the effects of recoil, understandably will be considerably different when firing a 9mm as opposed to a plastic BB. I'm not convinced that for this purpose an airsoft gun will help. Also I think that trigger control is a far greater source of operator error than grip - and, trigger control exercises in themself also demand that one's grip is correct, as poor grip will show up in the sight movement upon dry firing. If all is well in that regard, i.e. one's grip and trigger control are perfected as far as possible during dry firing exercises, then I don't know what other benefits may be derived from shooting a "recoiling" gun. My logic states that if the grip is at that stage "perfect" then the only way is down? At that point I would tend to assume that one would be shooting tight groups, and then, to shoot to point of aim, the sights are adjusted.